All the city buses are numbered from 1-9 (including 9). The number is visible on front and on the back of each bus, with exception on older buses which can be put in traffic when the need arises. If so, the number and starting/ending station are on a board under the windshield. Please note that all bus routes head vice versa. On every bus stop you can find a map and the timetable that is regularly updated. Also, on the front of the bus stop are usually sticker numbers that mark the buses that stop on it. 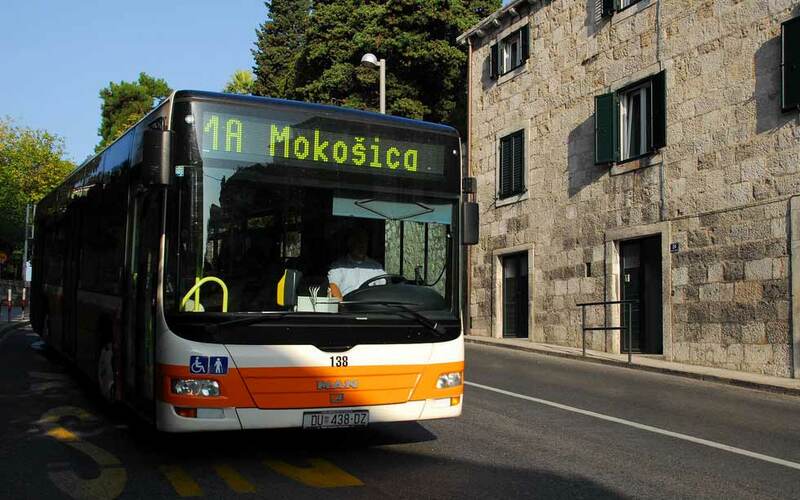 The most frequent lines, with a departure every (approximately) 15 minutes are 1A and 1B "Mokosica -Pile" which pass the main bus terminal, Gruz harbor, Downtown and Boninovo area. Tickets can be bought at newspaper stands, the main bus terminal, some bus stops and hotel front desks at the price of 12,00 kuna per ticket which is than valid for 1 hour from the first use. Should you be in a hurry, tickets can also be bought in the bus, but the price is 15,00 kuna and it is advisable to have change as the driver doesn't handle large bills. A ticket bought in the bus is valid for that particular ride. We strongly recommend buying a bus ticket before boarding the bus. During summer, buses are usually overcrowded. There are also day passes available. They cost 30,00 kuna and are valid 24 hours from the first use. You can buy them at the main bus terminal, and sales points owned by Libertas, the public transport provider. Many choose to purchase the Dubrovnik Card, you get a bus card which is valid for use of public transport throughout the entire City of Dubrovnik, at the same time saving up to 50% and get free entrance to Dubrovnik City Walls, museums and galleries.